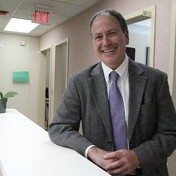 Dr. Shukovsky discusses comprehensive dental care. I recently lectured to juniors and seniors at the Academy of Information Technology and Engineering about the advances in technology in dentistry. One of the questions I got during the lecture involved digital impressions. The question asked had to do with our use of a technology and was this similar to the ‘in thing’ of 3D printers. Bingo! Except 3D printers are a technology looking for a use. With digital impressions in dentistry, we already found that use. Over the last few years, I have spent hundreds of hours re-educating myself towards providing better care for my patients. There has been an explosion of knowledge and technology in dentistry that has advanced patient care: BOTOX® injections for muscular issues related to TMJ and myofacial pain dysfunction; pinhole procedures for recessed gums; dental appliances that treat grinding, clenching, sleep apnea, and snoring; and the latest in materials that are both functional and cosmetic. Not to mention dental implants that can replace seriously compromised teeth, laser treatments that can offer dental care without anesthesia, laser treatments for periodontal disease, and sedation for patients that have dental fear and anxiety. Modern dentistry has so much to offer patients who are searching for better care. We are in a whole new world with regard to dental care. And needless to say how thankful we should all be that we are not in the world of 19th century dentistry: no anesthesia, no antibiotics, no fundamental understanding of biological systems. We have come a long, long way. Woody Allen said that 80 percent of life is showing up. Dental appointments and continued care are important ingredients to receiving excellent care. Seeing a hygienist and dentist at least twice a year is showing up and will certainly improve any dental outcome. Avoidance of dental care only succeeds in making things worse. We are living longer. I have seen 90 year old patients both with all their teeth and, on the darker side, edentulous (without teeth) and wearing dentures. Natural teeth win hands down over dentures in terms of comfort and ability to chew. The patients that follow up on care in their 60s, 70s and 80s will have the enjoyment of having their own teeth throughout their lives. Very often, I am asked about my role in cosmetic dentistry. For me, the term cosmetic dentistry is very limiting and really emphasizes the smile and the way a person looks. Cosmetic dentistry is not worthy of being called cosmetic if it does not include proper function. Function always comes ﬁrst and cosmetic will follow the blueprint of that function. Treating one or two teeth without consideration of all the teeth and supporting structures is not comprehensive care. Comprehensive care has function and cosmetic under its aegis. Comprehensive care is all-encompassing. It includes an examination of the hard and soft tissues that go far beyond cavities and gum disease. A couple of days ago, Tony Gwynn of the San Diego Padres died of a malignancy of the salivary gland. He was a long time user of smokeless tobacco. This really great man showed us what he was made of on the ﬁeld, off the ﬁeld and during his dying days. He made it clear that tobacco was the cause of his early death at age 54. Comprehensive care includes early detection of oral cancer. Three to four percent of all cancers are found in the oral and peri-oral tissues. It is important to have these soft tissues examined once a year, especially in those who use tobacco products. Wants and Needs – What do you want from dentistry? White teeth? Straight teeth? What do you need? To ﬁx broken teeth? Eliminate pain? Reduce gum disease? Is something holding you back from getting dental care that you know you need or want? This is the best time to be evaluated for modern dental care. Find out what you need and discuss what you want. Seek out dental care before you need to.